On 27 December, Alexander​ Lukashenka ordered a major reshuffling of the government as Belarus weathers economic troubles and prepares for the 2015 presidential campaign. This is an important development to pay attention to if one wants to understand the logic of the state apparatus in Belarus and the principles that govern it. No doubt, the whole system works to guarantee the stability and security of the president’s rule and the latter sometimes presents individual officials as scapegoats for the state's most worrying problems. However, Alexander​ Luakshenka also has to adhere to certain informal rules and principles in order to send the right signals to his bureaucracy. The decision-making system remains unchanged and nothing appears to indicate that Alexander​ Lukashenka will allow the new government to launch structural reforms that international institutions, like the IMF or EBRD, want to see. Moreover, the president made it clear what he wants from the new government – to secure his own victory in the 2015 presidential campaign. He has traditionally called this period “an exam” for the whole state apparatus. On 19 December, Belarus resorted to an unprecedented step to stop the rapidly unfolding panic on the foreign currency market. It blocked a dozen popular independent web sites, who published news on the growing financial trouble. Previously, the authorities blocked Internet content only during times of major electoral campaigns. 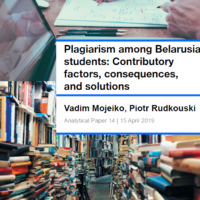 Now, they seem to use this approach to restricting the flow of information to resolve Belarus's growing economic problems, which are a byproduct of Russia's recession. The recently adopted new amendments to the Law on Mass Media will give the authorities even more instruments to control and restrict Internet media freedoms ahead of the 2015 presidential elections and the ongoing economic instability. The rapid devaluation of the Russia rouble in recent months has made many Belarusians excited, sending them on a spending for cheap cars and gadgets from Russia. The Belarusian authorities seemed to observe the situation with caution, as Belarus is deeply dependent on Russia economically, but they did not make any serious moves — until recently. All of a sudden, in the second half of December rumours of a new round of devaluation began making its way around Belarusian society. Queues near currency exchange points started to grow, fuelled by Lukashenka's statement that Belarus is not going to devaluate its currency. People still remember the 2011 crisis well, when similar claims were made and followed by sharp round of devaluation, sending everyone rushing to currency exchange points. The government, which also took lessons from 2011, this time reacted fast. On 19 December it ordered banks to stop selling foreign currency and, instead, trade it on the foreign exchange market. Shortly thereafter, it also introduced a 30% commission fee on the purchase of foreign currency to alleviate the panic and prevent another financial catastrophe. At that point two of the most popular web sites in Belarus, tut.by and onliner.by, were overloaded with visitors and broke down, as people wanted to know what the situation really was. Realising the major role of Internet in how information is spread, the authorities decided to resort to a very radical measure – they blocked a number of independent web sites, which published information on financial developments. Many of the most popular independent web sites were blocked, among them Charter97.org, belaruspartisan.org, prokopovi.ch, gazetaby.org, belapan.by, naviny.by, zautra.by and udf.by. However, the authorities refused to take responsibility for this move. Beltelekam, the Belarusian state-owned Internet monopolist, claimed that its data processing centre was DDoSed and therefore some of the web sites of the Belarusian Internet zone might be inaccessible as a result. The next day the Minister of Information Lilija Ananič gathered the editor-in-chiefs of all of the major independent Internet media outlets. According to the head of the Narodnaja Volia newspaper, Iosif Siaredzič, the Minister asked the media not to stir up panic in society. She urged them to take information only from official sources, and not to use insider information or anonymous leaks. The editors in response declared their protest with the way the official sources provided information on 19 December, when society wanted to know what was going on while the authorities pretended that nothing happened. The Belarusian journalists association released a statement where it called the blockage “a legal outrage”. 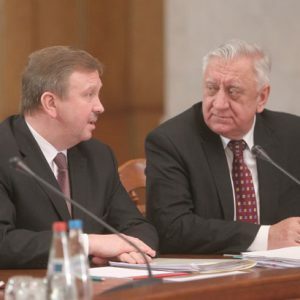 It also said that “now the 2015 presidential elections campaign make no sense because de-facto the authorities have introduced informational state of emergency in Belarus”. The Belarusian authorities made their first moves to censor the Internet during the 2001 presidential campaign, when the Belarusian Internet still had very few users. The Security Council ordered that independent web sites block access to anyone independently monitoring the electoral process. In late 2000s, when Internet usage became widespread in Belarus, the regime started to feel an acute need to restrict access to undesirable information. In 2010 Lukashenka ordered Internet providers to require the identity of users, and created a compulsory registration procedure for Belarusian Internet resources. On 19 December 2010, the day of presidential elections, the authorities blocked both the belaruspartisan.org and charter97.org web sites. Since April 2011 access to these two sites has been permanently blocked in state institutions and educational establishments. Later, as the financial crisis unfolded, the authorities added to their black list the prokopovi.ch site, which became a source of unofficial person to person currency exchange and financial information. In 2012, the famous petition site change.org was blocked, after it published a petition calling for the release of Anton Surapin and Siarhej Bašarymaŭ, who were arrested during the Teddy-bear bombing investigation. The same year, during parliamentary elections, the regime blocked the web sites of the Belarusian Christian Democracy party and the independent electoral observation campaign For Fair Elections. As the Internet's role in political life grows in Belarus, the regime continues to come up with new ideas how to control the vast informational open space which accompanies it. The recent amendments to the Law on Mass Media are looking like a new powerful tool in the hands of government censors. Simultaneously alongside the country's growing financial troubles and the Internet information blackout, on 21 December Aliaksandr Lukashenka signed amendments to the Law on Mass Media. The puppet parliament adopted the amendments secretly so that journalists would not be able to discover its content ahead of its adoption. The amendments essentially place Internet media on equal footing with print media, which means a web site can be closed after two perceived 'violations'. As far as what constitutes a violation, this is entirely up to the authorities to define as the law bans the “spread of information which could be harmful to the national interests of Belarus”. This vague language means that virtually anything the regime considers dangerous to its own existence could be targeted. However, as Aliaksandr Klaskoŭski, a political commentator for Naviny.by claims, the Belarusian authorities will be unable to shut off Internet media completely. “The journalists will not agree to quote state agencies and write material [convenient to the authorities]. They will simply go underground and their content will become more radical”, the expert noted. So far the Belarusian authorities have used drastic censorship measures only during major political campaigns. But as the economic crisis grows less and less manageable, coupled with the geopolitical tensions in the region, such measures may become a more frequent response to growing political and economic threats that the regime will have to face. As the 2015 presidential elections are quickly approaching, the regime will seek to demonstrate its full control over the situation, no matter how tough the measures they need to enact may be.